Original Owners, Really Well Maintained Home! 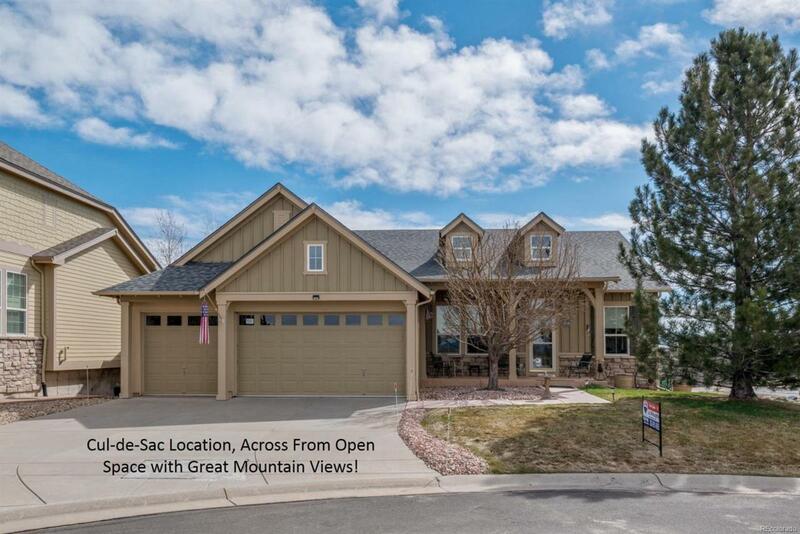 Wonderful Setting in Cul-de-Sac, Enjoy the Mountain Views & Open Space From the Front Porch! Ranch Style Home, Built by David Weekly, with Unfinished Walk Out for Expansion! Open & Bright Floor Plan with Plantation Shutters! Formal Living & Dining Rooms + Main Level Family Room with Built-Ins & Gas Fireplace! All Appliances Stay Including Washer & Dryer! Main Level Laundry! Nice Sized Deck! Fully Finished Light & Bright 3 Car Garage! Beautiful Mature Landscaping! Newer Hail Resistant Roof with Flashing & Vent Covers! HOA includes front yard lawn mowing, snow removal, sprinkler winterization and trash removal. Sellers Have the Senior Tax Exemption ($1832).